Samba-Reggae Drums Dance and Song. 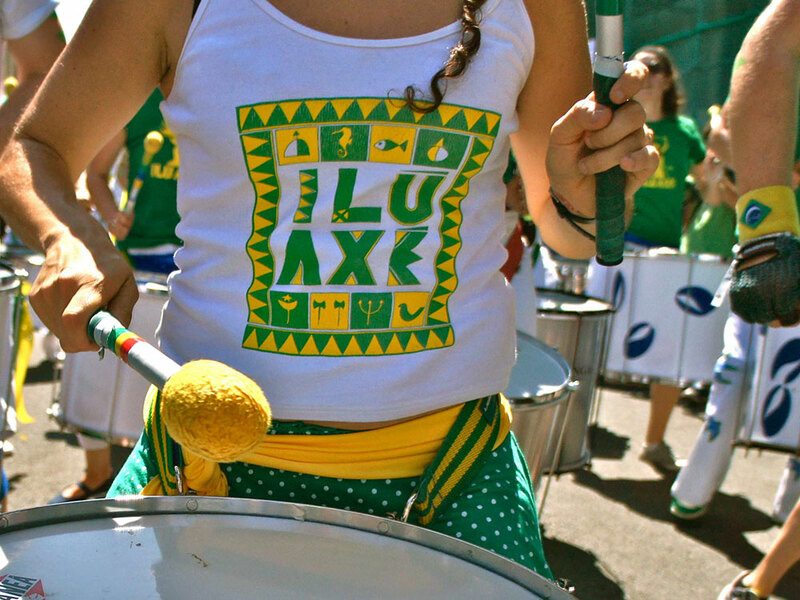 Pronounced ‘Eeloo Ashay’ and meaning ‘drum’ / ‘rhythm’ and ‘positive energy’ – Ilu Axé is a dynamic group of Samba-Reggae drummers, based in Bristol UK and Marseille France. We’re one of Europe’s premier Blocos Afros, performing and teaching original and traditional arrangements of the music and dance of Brazil’s North-East. Funky, rootsy North-East Brazilian-style carnival music & dance. Book Ilu Axé for stage & street shows, festivals, private parties, carnival processions, workshops and all kinds of team building / corporate events. Want to Join Ilu Axe? The Ilu Axé beginner level courses run on Tuesday evenings in Central Bristol. 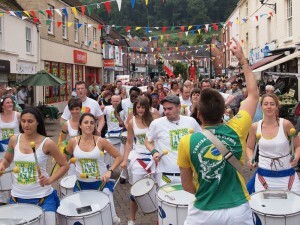 Drums are provided and with our fantastic tutors you’ll straight away begin learning our rhythms and choreography. Ilu Axé is one of Europe’s premier Blocos Afros, with music and dance from Brazil’s original capital city, the magical and very special Salvador da Bahia. 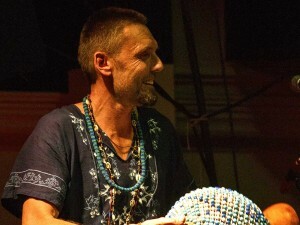 Ilu Axé's music is a mix of Samba-Reggae, Samba de Roda, Funk, Afoxé and the African / Brazilian ritual music of Candomblé. Ilu Axé are available for stage or street shows, festivals, private parties, carnival processions, workshops and team building / corporate events. Ilu Axé is an Afro-Brazilian drumming and dance, performance / education organisation. We are available for all types of stage shows, street shows, festivals, private parties, weddings, carnival processions, workshops and corporate / team building events. Find out more about the group, listen to some of our music, watch us and book us for your event.